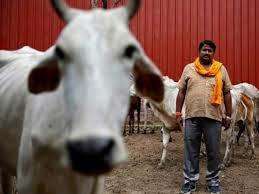 Six muslim traders were transporting buffaloes from Haryana to Delhi in a truck legally. Around 50-60 men stopped them and beaten them badly even when they pleaded that they were carrying all the legal documents. Another seventh trader got off the truck and called the police. The perpetrators fled seeing the police. One of the six victims was badly injured and was admitted to a nearby hospital for treatment, others were discharged from the hospital after treatment. The unidentified perpetrators were not arrested even after 24 hours of the incident.